Think about a time when you were learning something. Did you know where you were going in the learning progression? Did you understand the outcome? Nancy Frey, Douglas Fisher, Olivia Amador, and Joseph Assof (2018), authors of The Teacher Clarity Playbook, compare learning and outcomes to a pilot flying a plane. “Imagine getting into an airplane that was being flown by a pilot who didn’t know where he or she was headed. Rather, a control tower would contact her at some unspecified time in the future to let her know she had arrived, or worse, that she missed the mark entirely. That is a completely irrational way to fly a plane” (p. 20). One way is through implementing Success Criteria. To start, we need to think about teacher clarity. A major part of teacher clarity is understanding what students need to learn and identifying how they'll know that they learned it (p. xv). To do this we need to analyze standards, plan meaningful instruction and assessments with impact, and clarify expectations (p.xv). Success criteria helps students know what success looks like. When students know this, they are more likely to plan and predict, set goals, and acquire a stronger sense of how to judge their own progress (p.xvi). Success criteria really provides students with an opportunity to assess their own learning. Think of it as an assessment as learning. 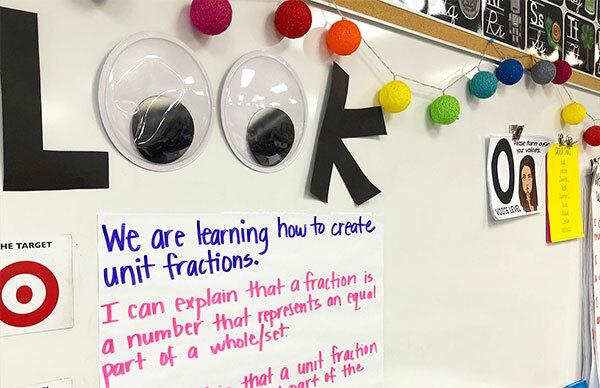 Assessment as learning occurs when students personally monitor what they’re learning and use the feedback from this monitoring to make adjustments, adaptations, and even major changes in what they understand. Fisher et. al explain that “success criteria let students in on the secret that has been too often kept from them — what the destination looks like” (p. 20). Part of success criteria are the learning intentions (or objectives) that are communicated to students, which is an end result of careful planning. The success criteria provide a mean for students and teachers to gauge progress toward learning. Success criteria makes learning visible to the teacher and the student (p.20). Why is success criteria effective? Success criteria have been shown to increase students’ internal motivation. It provides students with clear, specific, and attainable goals that can spark motivation. Even in some of the most reluctant learners (p.20). The more explicitly and precisely they can see the goal, the more motivated they will likely be to meet that goal. The authors of the The Teacher Clarity Playbook explain that, “internal motivation to succeed is one of the most important things your students can learn” (p. 20). 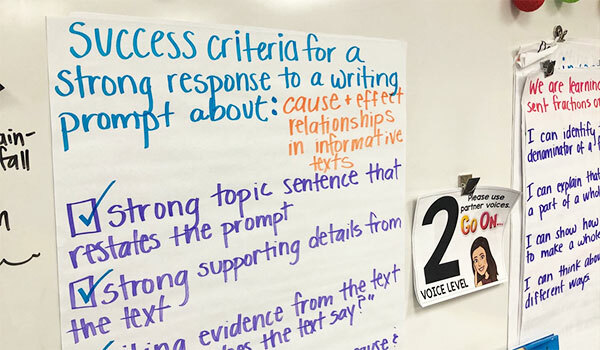 What are examples of success criteria? Success criteria does include “I can” statements that focus on future success levels. Ex. I can use correct grammar so my reader can read my writing. Success criteria can be statements of what has been learned. Ex. My response explains the main idea and has evidence from the text that supports the main idea. There can be multiple success criteria per learning intention. Ex. Learning Intention: I am learning how to compare fractions. I can identify the numerator and denominator. I can draw a model to represent fractions. I can use inequality symbols to compare fractions. Success criteria can also include rubrics or teacher/student co-constructed rubrics. The rubrics need to be written with descriptive and strong language so students can monitor their own learning. There are multiple ways to create and implement success criteria. Stay tuned for the next blog post to find out how to create success criteria for your students! Based on the research by John Hattie and his meta analysis of the most influential factors on student achievement, strategies emphasizing success criteria and feedback based on success criteria were both proven to be moderately high leverage practices leading to better academic performance. I like the use of success criteria- I just haven't used these exact words for what I use with my Kindergarten students. When I model journal writing for studentsfor example, I am teaching them how they can communicate with other people, by using the same letters, words, sentences structure and punctuation the GROWN-UPS do! I want kids to know that if they do their best sounding out, using spaces, choosing good words, etc., that other people including their own family will be able to READ THE KINDERGARTNERS WRITING! That is GREAT motivation for 5 and 6 year olds. to listen to me and "give it a go." Giving kids criteria for success is awesome and the use of their peers works.